M/S. Shahjalal Newsprint Industries Ltd.
Sub: Advising of local Correspondent L/C No:147808990030 dated 17.02.2008 for Tk.2,757,500.00 only. In accordance with instruction received from Eastern Bank Limited, Head Office, Dhaka. 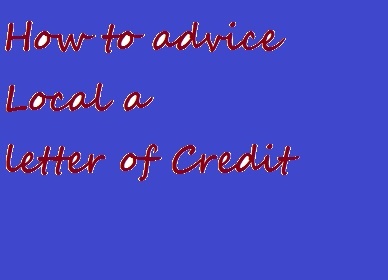 We are pleased to advise you that they have opened the above-mentioned letter of credit in your favor. We are enclosing herewith the following marked “X”.  Original mail letter of credit (Authenticated/Unauthenticated). This letters merely an advice of our correspondent’s letter of credit and conveys no engagement on our part. If you are unable to comply with the terms and conditions of the letter of credit, you may get in touch directly with the applicant to arrange suitable amendment. You are requested to take delivery of the L/C from our office on payment of our advising fee of Tk..300/- against proper authority. While communication with us, please quote our reference as mentioned above.